CarbonPoker.com is the “home” or largest skin on the Australia-based Merge Network. You will find worldwide players here, with plenty of Americans and rich and fishy batches of players from poker-inexperienced countries such as Brazil, Israel, Argentina and Russia. The site offers several deposit options, and CarbonPoker anchors one of the fastest growing US-facing sites. Once offering just a speck of traffic, the Merge Network is now solidly inside the top ten… and moving up. CarbonPoker was actually the second skin started by the Merge owners, following the original site that was called Poker.com. The “poker.com” domain name was rented by the owners for an outrageous fee that the owners made even higher after the site’s original success. As a result the “Carbon Poker” skin was started, and the original Poker.com players were moved to another “anchor skin” called PDC.poker, which means (P)oker-(D)ot-(C)om. These two major skins have since been joined by over 50 others, providing plenty of traffic at both the cash-game and tournament tables. CarbonPoker.com software is slick and fun, with casual players attracted here due to interactive emoticons designed by the network that can be typed in by the hundreds. (These can also be turned off if you find them to be too much of a distraction.) CarbonPoker players receive some great benefits as well, having access to some awesome loyalty programs that run month after month. Fishy players? You’ll find them here, and every bit as often in the tournaments as at the cash tables. One player we know made five digits in tournament profit here despite winning much smaller amounts elsewhere in a similar amount of playing time. The cash-game action is soft, too, with stakes starting at .01/.02 and running up to the nosebleed action. The nosebleed games seldom run but do appear now and then for those who dare, and often feature a big name or two visiting the site. CarbonPoker.com helps new depositors in several ways. First, you’ll qualify for your Kick A$$ Poker Deposit Bonus of $600, which is easy to clear. You’ll also receive invitations to special new-depositor freerolls that are limited to just a few hundred players and offer a great chance to boost your bankroll early. (Don’t miss these.) And third, you’ll find plenty of reload offers in the unlikely chance you go broke; Carbon serves these up as often as a monthly basis. Enter this code after downloading the software and visiting the cashier. (*bonus code needed for the kickass poker bonus at CarbonPoker.) Click any link to CarbonPoker.com from this page; the bonus is automatically included for all of our visitors! Your points earned go toward clearing your bonus, as is the norm at most online poker sites. But here’s a special treat at CarbonPoker.com. You will also automatically be entered in Carbon’s player loyalty program, which includes four levels – spades, hearts, clubs and diamonds. Each level brings with it such perks as cash-back payments, free tournament tickets, and special freerolls, and this happens each and every month. In addition, Carbon Poker offers another layer of rewards programs that is tailored toward your favorite game. Whether you like cash games, sit-n-go’s or multi-table tourneys, Carbon offers a monthly leaderboard in which you accumulate points toward prizes, which can be either hefty cash payments -– like $1,500 or more – or even entries to huge tournaments such as the WSOP, EPT or Aussie Millions! You will also find “bad beat” cash tables at CarbonPoker.com, and boy, do these drag in the fish. Carbon once served up one of the largest bad-beat jackpots in history – well over $1,000,000 – and at the time, the tables were abuzz with action 24/7. There is still plenty of action here, but it really takes off when the bad-beat jackpot grows. Carbon Poker and the rest of the Merge Network is primarily a Texas Hold’em site. It’s mostly no-limit, too, though the pot-limit and fixed-limit tables actually get some good action at lower and middle limits. There’s a growing center of action here for Omaha, but even though the site offers good software choice for such games as seven-card stud and Badugi, you’ll seldom find a game going. You will see the occasional small tournament or freeroll in these other games, and those fill up fast with hundreds of dollars given away daily. These other games appear even more often when Carbon runs one of their special tournament series, which often follow sports themes like the winter or summer Olympics. The site also spreads short-handed games (six players) along with the standard 10-seat NL tables at most levels. The short-handed action was a must for us and gets plenty of action. These are among the most popular cash tables on the site, and the action is fast and loose. Aussie, Aussie, Aussie, oy, oy, oy! We’re not sure you’ll find Joe Hachem here -– he actually represents rival site PokerStars –- but Carbon Poker, the largest site on the growing Merge Network, is one of our favorite places to play online! 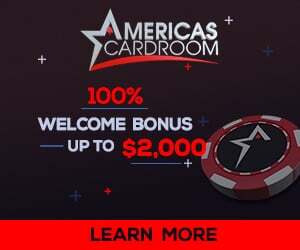 Your special Kick A$$ Poker bonus code at Carbon Poker -– UPTO600 –- should be input when you download and install the software via this link. Your Carbon Poker bonus will clear very quickly and is approximately equal to $1 of bonus in return for each $1 of rake that you personally generate. That’s right, the bonus effectively allows you to play rake-free! But you’ll actually do much better than that. You’re also going to get invitations to new-depositor freerolls, which are very limited, accumulate VIP rewards points which can be cashed in for merchandise or tournament entries, and you can even enter the many special promotions available here – all at no extra charge. Carbon offers a great loyalty program to its players, simply one of the best in the industry. It’s one of the biggest reasons you should give Carbon Poker strong consideration when considering the big sites. We love the giants of online poker -– PokerStars and Full Tilt -– but if you ever want to play somewhere else, where do you start looking? Carbon Poker (originally with sister site PDC Poker under the name Poker.com) has been around for a handful of years, being just a little bit newer than PokerStars itself. Customer service is top notch and includes live chat, deposits are easy, withdrawals are convenient (although they can take a couple of weeks for US players), and there’s even a few unique games to be had here, including a Caribbean Stud jackpot offering and a poker bad-beat jackpot that once topped a million dollars. Enter this code while downloading and installing the software. (*bonus code needed for the kickass poker bonus at CarbonPoker.) Click any link to CarbonPoker.com from this page to start your install, and don’t forget to take advantage of that code! We mentioned these earlier. CarbonPoker tosses hundreds of dollars into the air each day and lets it freeroll players scoop those dollars up. $100 freerolls run at scattered times all around the clock, and other special freerolls – such as loyalty freerolls – are often added in each weekend. Great stuff! Carbon Poker offers a welcome bonus on the initial deposits of all new players. This is a 100% matching bonus of up to $600, meaning that any first deposit of $600 qualifies a player to receive an equal amount in bonus cash. To unlock this cash, players must accumulate VIP points by participating in cash games and online poker tournaments. For every dollar contributed to a raked pot in cash game or paid in tournament fees, a player receives 10 VIP points. One dollar of the player’s bonus cash is released for every 75 VIP points he or she obtains. To claim this bonus, a player must enter the appropriate CarbonPoker code at the time of his or her deposit. Part of the Merge Gaming network, Carbon Poker is an online poker room that is increasing in popularity at a steady rate. In fact, Carbon Poker has become one of the most popular poker websites for American players, as many online poker rooms continue to remove support for deposits from the United States. The website is also popular for its competitive first deposit bonus, which can be unlocked with the appropriate CarbonPoker.com coupon code. To use the Carbon Poker coupon code and claim the welcome bonus, a prospective player must first create a new Carbon Poker account. After providing any needed personal information, the player should visit the website’s cashier page. Here, he or she can choose to make a deposit in a variety of ways. Because this is the player’s first deposit, he or she can enter the CarbonPoker.com coupon code KICKASS, which allows him or her to claim the Carbon Poker first deposit bonus and start releasing bonus cash right away. Yes, CarbonPoker offers a lot of online poker tournaments with absolute prize-pool guarantees, and this often means plenty of extra money for players in the form of overlays. We’ve seen tourneys where the actual buy-ins paid by the players amount to only 60% or 70% of what’s actually paid out, and that means lots of free money. While Carbon Poker can’t pay out huge overlays like that very often, they do occur, and smaller overlays in the 10% range happen all the time. Even at that 10% level, this is like a juice-free tournament, meaning that if you are even a tiny bit better than just an average player in these, you will make money over the long run. Sit-n-go tourneys are great here, though many of them offer special gimmicks such as bounty SNGs, double-or-nothings, turbos and super-turbos, satellites and more. Many of these are created with the idea in mind that a lot of Carbon’s players are loose and impatient and want plenty of fast action. While there are a few sharks lurking here, there are tons and tons of horrible players. Just watch out for “Machidon”! As with a lot of US-facing sites, withdrawals have occasional been slow. There was one period in 2009 when cashouts took several weeks, though a couple of weeks is more the expected norm these days. Wire transfers are one good option, and paper cheques are another, one that has proven very dependable for Carbon over several years. Carbon has always made good to players and they are very sincere in providing good customer service. That’s why we love them and recommend them to others. You know what’s great about this site? Not only do they offer e-mail support with a very fast turnaround – usually a few hours – but they even have a live-chat feature for emergencies. This is way beyond what most other sites offer, and we have used the live chat a couple of times. They are responsive, and if they can’t find the answer right away they will escalate it for you to someone who can. This is a great, growing, super-fishy site with plenty of game options and solid software along with a ton of bonus extras. You’ll get more overall bang for your buck here than you will with virtually any other site, and this is exactly why Carbon Poker is growing so fast. Join those who’ve figured out that this is a solid site, one that should be added to your online-poker selection! All in all, CarbonPoker gets two big thumbs-up from us! !